A theme you’ll often see me come back to is how so much popular music can be bland, derivative or just plain uninteresting. But that’s not to say that there isn’t great music out there being produced, often by bands or artists for whom their lack of relative success is perplexing. For every Coldplay there is a number of bands making equally good and often superior music. One of these bands who have created fantastic work over the last 20 years but for whom the stadium filling, Brit award winning success has proven ridiculously elusive is Starsailor. Formed in Cheshire in 2000 the band have produced five critically acclaimed albums over the years and have also proven to be an awesome live act. And even despite a long hiatus from working together the band have returned to working together in recent years proving their class and ability remains undiminished. 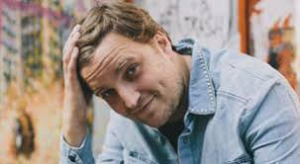 Even during the periods when Starsailor were not working together lead singer/guitarist and songwriter James Walsh kept busy with some solo projects including the fabulous 2012 album Lullaby. As well as some very low key acoustic tours, with one of the most memorable gigs I’ve seen being at the Roadmender, Northampton on a duel bill with Ian Broudie of the Lightening Seeds with about 30 people in attendance, James has continually been writing and producing his own idiosyncratic music. With a great presence on social media and in particular Twitter new music has always appeared to the enjoyment and pleasure of his and Starsailor fans. Therefore it was with fantastic to see his tweet this morning with a link to his soundcloud account with a taster of a new demo of a song called Cruel Tricks. With his vocal delivery reminiscent of Jeff Buckley, this song shows James is still producing great new anthemic music. Hopefully there is more new music in the pipeline….